Key Topics:FinTech, InsurTech, Artificial Intelligence (AI) / Machine Learning / Deep Learning, Innovation, Startup, Digital Currency, Blockchain, Financial Services, APIs, VR/AR, IoT, Biometrics. 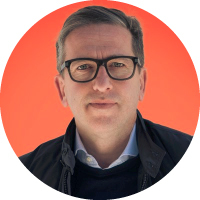 Spiros Margaris is a Venture Capitalist and Thought Leader in the FinTech and InsurTech scenes. He is ranked No. 1 FinTech and No. 2 InsurTech global influencer by Onalytica, and he regularly appears in the top three positions in several industry rankings. Spiros also is ranked worldwide the No. 11 AI influencer by Jay Palter Social Advisory. He is a frequent speaker at international FinTech and InsurTech conferences, and Spiros publishes articles on his innovation proposals and thought leadership. My background is in banking and money management (hedge funds) in New York and Switzerland. I launched two startups in New York, one of which would nowadays be called a FinTech. I was lucky to have been at the right place at the right time with the right professional background when FinTech started to take off many years ago. All those ingredients mentioned would not have been enough to succeed, though. Without hard work and without the fantastic support of my followers, it would not have been possible to become who I am now. The fact that I was fortunate with my FinTech and InsurTech investments does not hurt my credibility in the market. It helps if you’re passionate about your work; people sense that kind of commitment and are supportive of others. In the end, it is the hard work (24/7). This is not unlike the commitment I like to see when I evaluate a startup and its team. That makes all the difference—and, of course, the support of our community. As I always tell everyone who wants to listen, the cake is big enough for all of us to share. We must support all the great FinTech, InsurTech and AI minds with their great ideas that make this fantastic ecosystem possible and strong. Merger and partnerships – I think we’ll see many FinTech companies partner with or be bought by incumbents. Some FinTech players will become so big that they will start to diversify their core offerings, but they need to balance this diversity against the danger of losing focus and staying agile to new opportunities. Unbanked and underbanked – I’m a strong believer that FinTech’s greatest achievement will be helping the unbanked (people with no access to financial services) and the underbanked (individuals who have insufficient access to financial services) of this world. Technology can be a fantastic enabler to help our society become fairer and in the end to advance us all by building a stronger community where people have access to opportunities. Cybersecurity – For me, this is the big elephant in the room that affects incumbents as well as FinTech startups. The problem is that we can’t really protect us against cyber hacks; we can only make it more difficult so that the attackers look for easier targets. For startups, a cyber attack is likely a business killer because, unlike incumbents, they don’t have the money to compensate their clients. It will be the biggest threat any business will face as we become more digital. So many people influence me that I will avoid naming a particular FinTech, InsurTech or AI influencer. I would hate to leave out someone I respect and who influences me. However, a good way to see who I follow is to look at my Tweets on @SpirosMargaris. I get my inspirations not only from the FinTech, InsurTech and AI industries but also from other great sources unrelated to it, such as art or literature. and FT, to name a few.